Francis Patrick Leary was born in Wayland, Massachusetts, on February 26, 1881. Leary entered the Wharton School of the University of Pennsylvania with the Class of 1903 in the fall of 1899. In his freshman and sophomore years he ran the quarter mile as a member of coach Mike Murphy‘s track team. He was most remarkable, however, as a pitcher for the University’s 1900 and 1901 baseball teams. After his sophomore year, Leary married, switched to law, and combined his legal studies with professional baseball. In 1902, Leary pitched for the Rochester team of the Eastern League, and he pitched for Toronto in 1903 and 1904. His professional activities explain why, as a law student in 1902 and 1903, he pitched not for the University team, but for his Law School class team. In 1904, he did not play baseball at Penn. 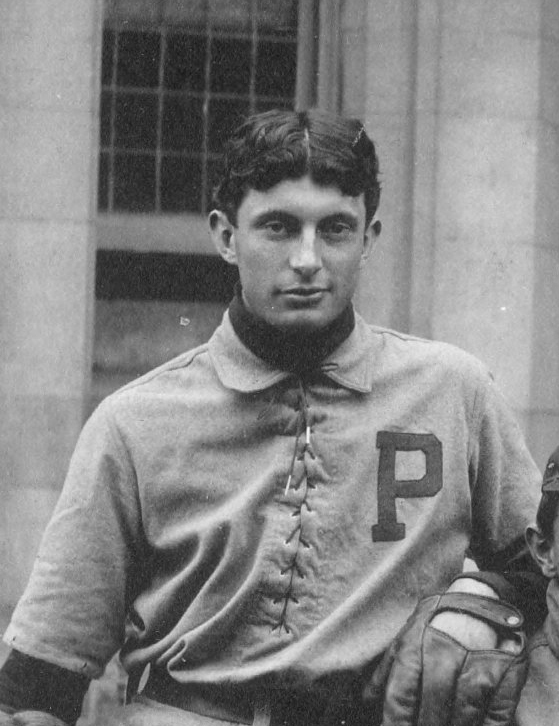 After completing law school, Leary played baseball for a Harrisburg team. His good record there led to his major league debut with the Cincinnati Reds on April 30, 1907, but he was returned to Harrisburg the following month. A few months later, on October 4, 1907, he died in Natick, Masachusetts, from appendicitis.